As you are leaving the area of Tzanakia, if you follow the signs, you will reach the beach of Agios Konstantinos. It is an easy drive, as the two thirds of the road are turnpike and only in the end of the path you will find a short dirt track. The beach is pebbly and the waters are pretty deep. You will also find trees that offer their shadowy foliage for your relaxation and deck chairs for those who prefer them. There is also a nice traditional tavern and within the year 2013 a new beach bar is opening. You will better enjoy the beach with mild weather. 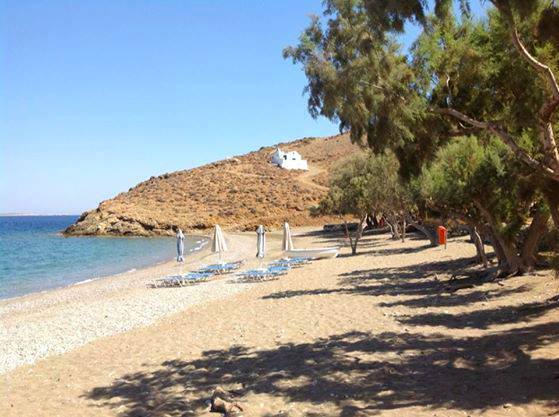 The beach has a beautiful view to the town of Chora and the castle.